Minister of Industry and Trade Vũ Huy Hoàng has called for quarterly reevaluations of multi-level marketing firms, or pyramid schemes, operating across the country. HÀ NỘI (VNS) - Minister of Industry and Trade Vũ Huy Hoàng has called for quarterly reevaluations of multi-level marketing firms, or pyramid schemes, operating across the country. The move comes in response to many cases of fraud being filed against multi-level marketing businesses operating pyramid schemes. In particular, the Liên Kết Việt Company was caught swindling some 60,000 people in more than 27 cities and provinces nationwide, appropriating a total of VNĐ1.9 trillion (roughly US$85 million) since 2014. The company's business licence was revoked on March 9. The minister requested the provincial industry and trade departments to supervise firms operating pyramid schemes and people who join local multi-level marketing networks. Conferences, seminars and training sessions hosted by these firms need to fall under greater scrutiny. Hoàng also asked local administrations improve public awareness of banned activities in a multi-level marketing context, the responsibilities of firms that operate such schemes, the participants' rights and interests and issues related to commissions, bonuses and other economic interests. He said the Việt Nam Competition Authority (VCA) would co-ordinate with the market watch body to investigate these businesses more thoroughly to uncover violations and protect the customers' legitimate rights. 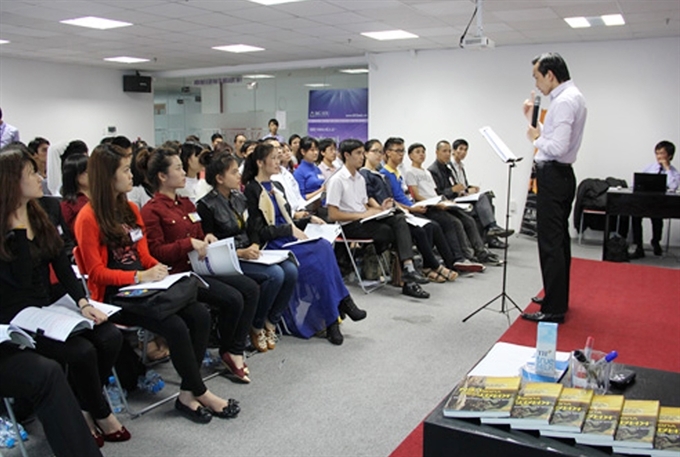 There are 66 multi-level marketing businesses operating in Việt Nam, nearly half of which are wholly foreign-invested businesses. The VCA recently revoked the business registration certificates of four multi-level marketing businesses: Con Đường Việt Trade and Production JSC, Tầm Nhìn Đại Hưng 668 Limited Company, TNC International Trade and Im-Export JSC and Trái Tim Ngọc Việt JSC. All have headquarters in Hà Nội.